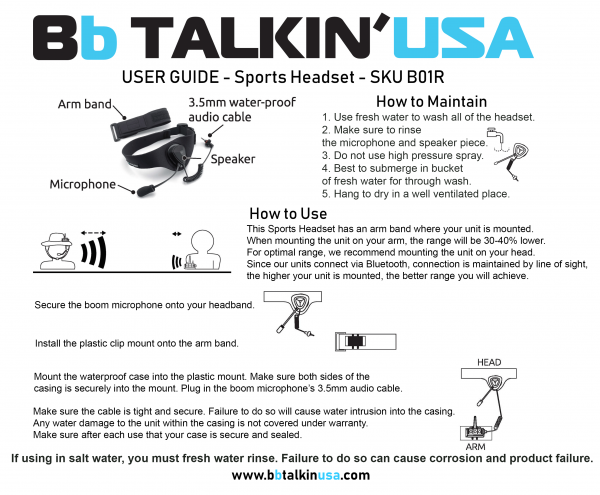 Sports headset with waterproof boom microphone by BbTALKIN USA. This sports headset is designed to be used with our Advance Unit. You plug the boom microphone’s 3.5mm audio cable directly into your Advance Unit to establish communication. The microphone and speaker piece on the boom microphone are completely waterproof. 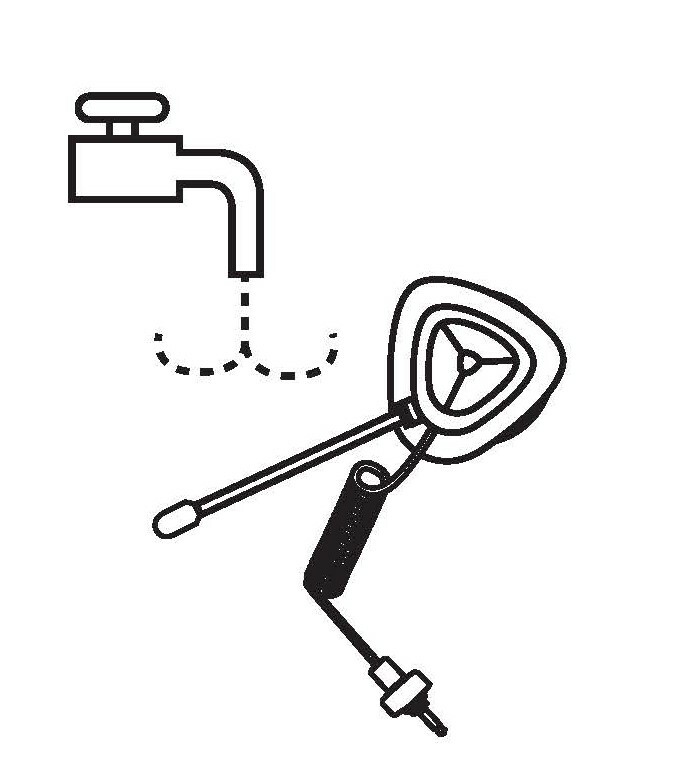 The design of the boom microphone allows the flexibility to change out either the microphone piece or speaker piece if it becomes damaged over time. From the date of purchase, the sports headset and all it’s components are covered for 6 months. Please see our warranty section for complete warranty details. Use fresh water to wash all of the headset. Make sure to rinse the microphone and speaker piece. DO NOT use high pressure spray. Best to submerge in bucket of fresh water for through wash. Hang to dry in a well ventilated place. This Sports Headset has an arm mount where your unit is mounted. When mounting the unit on your arm, the range will be 30-40% lower. For the optimal range, we recommend mounting the unit on your head. Since our units connect via Bluetooth, connection is maintained by line of sight, the higher your unit is mounted, the better range you will achieve. 1. Secure the boom microphone onto the Sports Headset head band. 2. Install the plastic clip mount onto the arm band. 3. Mount the waterproof case into the plastic mount. Make sure both sides of the casing is securely into the mount. within the casing is not covered under warranty. 5. Make sure after each use that your case is secure and sealed.